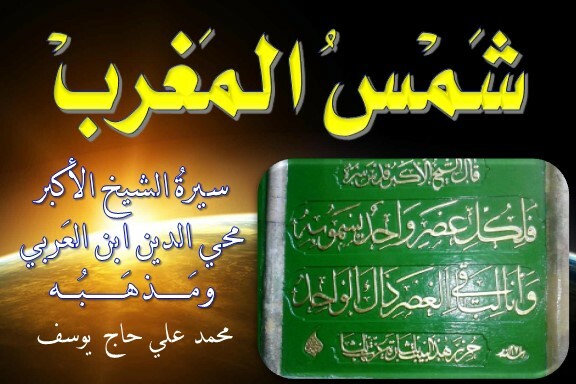 In his major book al-Futuhat al-Makkiyya, he says: 'we showed in this book and in our book "The Time" (al-zaman) (OY, #838) that time is something that has no (real) existence' [I.490.17]. Although this last book is not found today, Ibn al-Arabi's concept of time is developed in quite detailed fashion in the Futuhat, though it is scattered all around the book and not placed in specific parts, including even those chapters 59, 291 and 390 whose titles relate directly to time. And time and space are also a consequence of natural bodies, but time is something imagined that does not exist (in itself), but is introduced by the motion of orbs and localized things when we ask about them 'when'. So time and space do not exist in reality, but existence is to the things that move and still. This is not only to say that 'motion', 'space' and 'time' do not have real physical existence, but they do not even exist separately in an abstract way: their existence is a mere illusion; it is only a projection of the human imagination (wahm). It is not very easy to deny the existence of time, space and motion, since they are widely encountered in our experience of everyday life. However, Ibn al-Arabi is not the first one to propose this. We shall see below that Aristotle gives a very simple proof that time is not real. The real existence of motion and space, however, are far more unusual and intricate to disprove. Perhaps only Zeno (b. ca. 488 BC) was brave enough to postulate the illusion of motion, and he composed many related riddles that are still logically unsolvable. The main idea behind Ibn al-Arabi's mysterious conceptions here is his controversial theory of the oneness of being, which we shall discuss throughout this book, especially in Chapter V. But clearly, if we suppose that the 'real' existence in the world is uniquely one, there would be no meaning to motion, and hence to time and space; or at least they would have to be redefined. We shall discuss in Chapter VII that Zeno's paradoxes can be easily resolved according to Ibn al-Arabi's profound view of time under his theory of the oneness of being. So if there is a real existence to time it will be in the present (the 'now'), not the past or the future. Aristotle then gives another argument that also the 'now' is not time. The present is not time, but it is rather a point in imaginary time, like a point on the line; although the line is composed of points, still each point is not a line. Likewise time is the sum of all present moments that exist only one by one, and each one present moment (alone) is not time. Time therefore is the mind's projection on the continuous presence from the future to the past through the present. Similarly, Ibn al-Arabi gives a straightforwardly profound meaning of time. In the title of chapter 390 of the Futuhat, he says: 'the time of a thing is its presence' [III.546.16]. Then he explains that the time of the Lord is the 'servant' and the time of the servant is the Lord (al-rabb), [III.547.31], because the Lord deserves this name by the servant, since He would not be called 'Lord' if there are no servants to worship Him; likewise the servant deserves this name by (his relation to) the Lord. In the same way, when we say for example: '‘Amr is the son of Zaid', this means, according to Ibn al-Arabi, that the time of the fatherhood of ‘Amr is the sonhood of Zaid, and vice versa. Or in Ibn al-Arabi's own words: 'the time of the father is the son, and the time of the son is the father' [III.547.36]. That is why Ibn al-Arabi named this chapter (390) as: 'the time of a thing is its presence, but I am out of time and You are out of time, so I am Your time and You are my time'. This means: 'I am Your presence and You are my presence'. 'Time' in the usual common sense is actually a tool used by our perception to chronologically classify the events or motion of objects; it would not have any meaning without motion or change. This is why we do not feel time while we are asleep; we have to look for some kind of a standard reference motion (the sun, the moon, the stars, or a watch) in order to realize how much of time has elapsed since we went into deep sleep. Time, therefore, has no real absolute meaning; it is only used relative to something in order to describe its state of existence. This is why Ibn al-Arabi sometimes uses the words 'time' and 'state' as synonyms, as when he says: 'as you like (you can) say from the time of its existence, or the state (hal) of its existence' [II.281.11]. So the real meaning of time is reduced to the existence of the world in the 'present moment', which has no duration or extension, because the future and the past are mere imagination. If we know that, Ibn al-Arabi declares, there is no problem to go along with people and say that 'time' is the daytime and night, or that it is a duration taken by the motion of objects, or it is comparing an event to another when someone asks about it by 'when? ', because these definitions have been widely used and they are correct in relation to time, in the common sense [III.548.7]. As Ibn al-Arabi says in chapter 59 of the Futuhat, which is titled 'on knowing existing and assumed time': people have used the word 'time' (zaman) in many different ways: most philosophers, for example, use it as the duration taken by the motion of orbs. Muslim theological scholars, on the other hand, use it to compare between events. But generally zaman in Arabic means the night-time (layl), and the daytime (nahar). Also Ibn al-Arabi himself sometimes uses the word zaman to mean the daytime and night [I.141.5]. But this is more than just a convention, because as we shall see below and in the following chapter, the (divine) 'day' (yawm) is for him the main indivisible unit of time. So if time has any real existence it exists as the divine 'days' (of each real instant), not as the hours or seconds we conventionally use. It is also worth mentioning here that, unlike the day (yawm) or daytime (nahar) and the night (layl), the word 'time' (zaman or zaman) was never used in the Qur’an. Despite the fact that he considers time to be imagined and having no real existence, Ibn al-Arabi stresses that it is one of the four 'mothers (fundamental principles) of existence': the formable monad (al-jawhar al-suwari), the accidental form (al-‘arad), time (al-zaman) and space (al-makan). Everything else in the manifest world is combined of these four parameters [III.404.22]. He also argues that those four parameters - together with another six categories that are derived from them: (fa‘il, munfa‘il, idafa, wad‘, ‘adad, kayf) - are enough to describe the state of everything in the world. Together these make up the familiar ten Aristotelian categories: i.e., substance (jawhar), quantity (kamm), quality (kayf), relation (idafa), time (mata), place (ayna), situation or position (wad‘), possession (lahu), or state (jidda), passion (yanfa‘il) and action (yaf‘al) - although the meaning of jawhar here is of course radically different from its usual Aristotelian usage, reflecting in this case the kalam inspiration of Ibn al-Arabi's terminology (EI2, VI: 203, 'Al-Makulat', and: EP, II: 46, 'Categories'). Yet those four 'mothers of existence', including the formable monad, in Ibn al-Arabi's distinctive conception of the oneness of being, are nothing but imaginary forms or reflections of the unique 'Single Monad' (al-jawhar al-fard) which is the only thing that can be described as having a real existence: all other things in the world are different forms of this Single Monad, including 'vision and the visible, hearing and the heard, imagination and the imaginable, thinking and the thinkable, … etc' [III.404.12]. This latter concept reflects Ibn al-Arabi's controversial theory of the oneness of being. 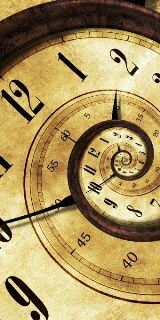 the knowing of time is a noble knowing through which eternity (al-azal) is truly known. … But only the Solitary Sages among 'the True Men' know it (eternity). This (reality) is known as 'the First Age' (al-dahr al-awwal) or 'the Age of ages' (dahr al-duhur). From this eternity (al-azal), time comes into existence. Therefore, we may summarize that time as we ordinarily experience it is defined by motion, and motion is defined by the different positions of the formable monads, and those monads are different states (times or instances) or forms of the Single Monad, which alone has a real existence. In the language of kalam theology, a 'negative attribute' (sifa salbiyya) is an attribute that is not a real description, but simply a negation of a purported description. See also 'The Book of Eternity' (Kitab al-Azal) for Ibn al-Arabi. 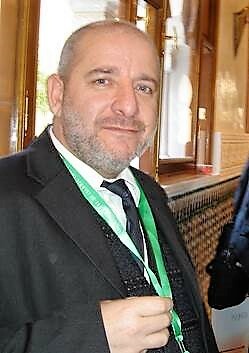 For more details about the 'line-point' and 'time-now' analogy, see Hasnaoui, A. (1977) 'Certain Notions of Time in Arab-Muslim Philosophy', in Time and the Philosophies, ed. Paul Ricoeur, London: UNESCO, Benham Press: 50. See also Ibn al-Arabi's treatise of: 'Risala fi Asrar al-Dhat al-Ilahiyya' in Rasa’il Ibn al-Arabi (Beirut: Mu’assasat al-Intishar al-Arabi, 2002-4), ed. Sa‘id ‘Abd al-Fattah. Volume I: 193-206 . There are two closely related words in Arabic commonly used for the everyday senses of 'time': zaman and zaman. They are basically used in the same contexts, and usually Arabic dictionaries [such as Lisan al-‘Arab (Beirut: Dar Sadir, n.d.), XIII: 200] do not distinguish between them. Ibn al-Arabi also seems to use these two words interchangeably in many places, although we can detect a unique pattern of use in the Futuhat: in many places he uses zaman for the general meaning of time that has a span or duration, while he uses zaman to mean the current time or a specific time that is usually short and defined, such as in the technical expression 'the single time' (al-zaman al-fard) [I.318.22, II.82.22, IV.267], which is explained later in this chapter. Al-jawhar literally means 'the jewel' but technically it means 'the essence.' Ibn al-Arabi took this technical usage from kalam theology. We will translate it as 'the monad', which is the indivisible substance that is thought to constitute matter. We will devote a full section to the monad in section VI.2. Al-‘arad - in this technical sense drawn from the usage of the kalam theologians - is the actual appearance or the form of al-jawhar, or the form each monad wears in order to appear in existence. The atomists, especially the Ash‘arite theologians, asserted that the world is composed of substances and accidents (jawahir and a‘rad) and that substances remain while accidents always change. Ibn al-Arabi, however, employs the term more strictly than the Ash‘arites, since he says that everything that we see always and constantly changes, though it may change into 'similars' or 'likenesses' (sing. : mithl), which is why we think that certain things are not changing [III.452.24]. 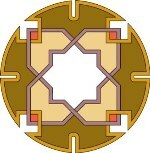 He also asserts that this monad (al-jawhar) is not visible by itself, but only appears wearing this form or the other. See also SPK: 97. There are two different words in Arabic habitually used for the meaning of space: al-makan and al-hayyiz. Al-hayyiz is more accurately used to refer to the abstraction of three-dimensional space, while al-makan in fact refers to 'the place' rather than space. Ibn al-Arabi himself sometimes uses both of these two words to mean space, but in one passage he clearly defines them: 'al-makan is what the objects rest on, and not in, it; for if they were in it, these would be al-ahyaz (s. hayyiz, space), not al-makan (place)' [II.458.3]. Al-Afrad min al-rijal: al-afrad (‘the Solitary Ones’) are group of the highest spiritual Sages who are outside the circle of the spiritual Pole (al-Qutb); al-Khadir (lit. 'the green man') is one of them, [II.19.9]; and 'they are not governed by the circle of the Pole and he has no rule over them, but rather they are as complete as himself' [III.137.12]. In Ibn al-Arabi's technical usage, al-rijal (‘the True Men’) refers not at all to a gender, but to the fully accomplished spiritual sages or 'true Knowers' (‘urafa’). See also: Al-Mu‘jam Al-Sufi: 515-21. This Page has been viewed 289 times, and the number of All-Pages-Views is 107129 times, since 1/3/2019.